For two years Osric has lived a simple life, apprenticed to the mute old carpenter who took him in when others spurned him. But when Norsemen from across the sea burn his village, Osric is taken prisoner by these warriors. Their chief, Sigurd the Lucky, believes the Norns have woven this strange boy’s fate together with his own, and Osric begins to sense glorious purpose among this fellowship of warriors. 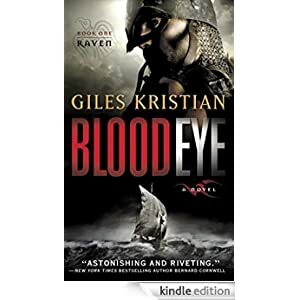 Immersed in the Norsemen’s world and driven by their lust for adventure, Osric proves a natural warrior and forges a blood bond with Sigurd, who renames him Raven. But the Norsemen’s world is a savage one, where loyalty is often repaid in blood and where a young man must become a killer in order to survive. He will find Cynethryth, an English girl with a soul to match his own. And he will find betrayal at the hands of cruel men, some of whom he regards as friends. Buy this Viking adventure, packed with battles, blood and gore for just 99 cents today.